If you’re renting, it might not be your first thought to insure your personal property. Renter’s insurance is not required to move into most rental homes and typically not mentioned during the application process or lease signing. Just because you don’t own the house, does not mean things won’t go wrong. Burglaries, burst pipes, extreme weather, fires, guest injuries, and many other things that go wrong in your home are a part of life you need to be prepared for. Luckily, getting renter’s insurance that covers your belongings and protects you from lawsuits is much easier than you think. At Chastain Otis, we educate you on the various coverages that are available with renter’s insurance. As an independent agent, we do research to shop for the best renter’s insurance in the Omaha area for you. We get you multiple quotes for free to find the best insurance options. Why do you need renter’s insurance, and what does it cover? When asked, most people have no idea what it would cost to replace all of their clothing, furniture, electronics, appliances, etc. Would you be able to afford it if you had to replace everything you own out of pocket? Renter’s insurance will cover most of your personal belongings. There are however restrictions on certain items: most notably jewelry and guns. But coverage is typically still available for these. A good insurance agent can help you navigate the policy language to make sure your personal property is properly covered. It is also important to note that renters insurance does not cover your personal property for anything under the sun that happens to it. Damage from a flood, earthquake, wear and tear… these are just a few things that are not typically covered under renter’s insurance policies. However, coverage may be available for some of the things not covered under a standard policy. Again, this is something that the best insurance agents in Omaha can help you sort through. So, if you think your belongings are worth $20,000, get a plan that covers $20,000 in personal property. Are your belonging worth more than that? Not sure? Let us know and we’ll help you come up with a proper amount. We’ll make sure it’s the perfect plan for you. Anyone who has ever been sued knows the importance of having good liability insurance. Even if a lawsuit is completely frivolous, you will still be exposed to potentially large attorney fees to defend yourself. The Personal Liability protection included in most renters policies gives you protection to pay for your legal defense, as well as any judgment that may be found against you, for suits alleging that you injured someone or caused damage to someone’s property (motor vehicle liability is excluded on renter’s policies… you need auto, boat, or motorcycle insurance for these claims). Typical renter’s insurance policies in the Omaha area will cover anywhere from $100,000 to $500,000 in liability claims. Higher limits are available through Personal Umbrella policies. If damage occurs to your apartment or rental home you will incur additional expenses to either temporarily relocate while the damages are repaired, or permanently relocate to a new residence. The Loss of Use coverage on renters policies pays for these expenses. For all the coverage that you get, renter’s insurance is cheap. With typical premiums being only around $15 a month, you won’t even notice a difference in your bank account. At Chastain Otis, we’ll get you several free quotes to make sure you are getting the best rate on renter’s insurance in Omaha. Renter’s insurance doesn’t just cover your personal belongings when you’re at home. With most policies, coverage is worldwide. Whether you are visiting family in another state or taking a vacation to the other side of the world, your renter’s insurance policy continues to cover you and your belongings no matter where you are. Contact Chastain Otis today for free quotes on the best renter’s insurance in Omaha. 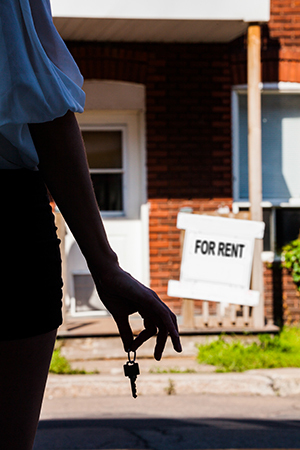 Do College Students Need Renter’s Insurance?